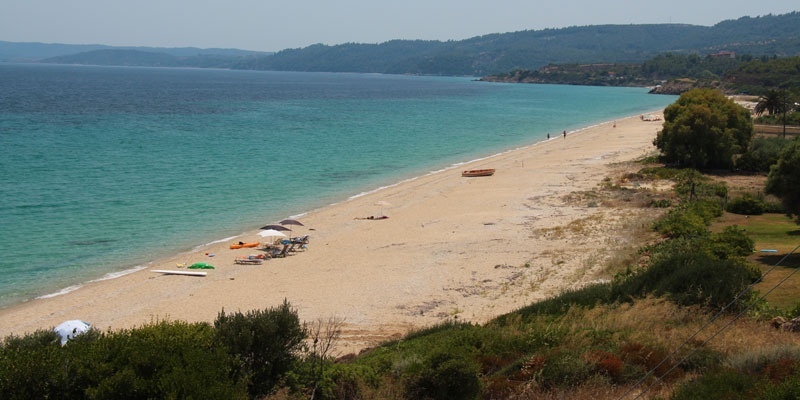 Assa Maris beach is almost at the northeastern boundary of Sithonia close to Pirgadikia. This is perhaps the nicest beach in the area. 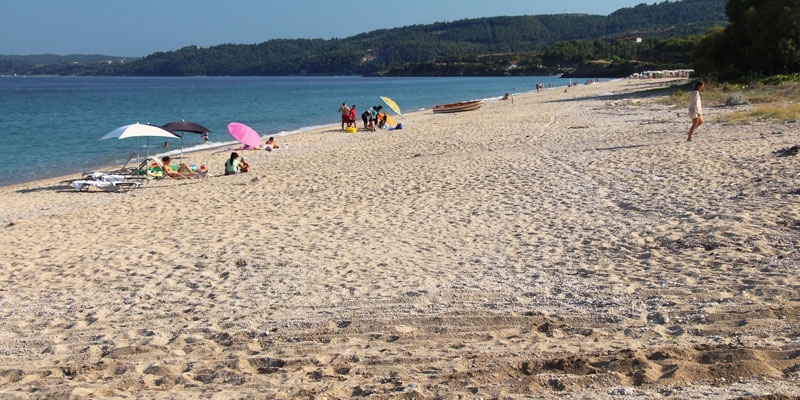 This beach has a hotel and a few small apartments, but the beach does not fill up with a lot of people. 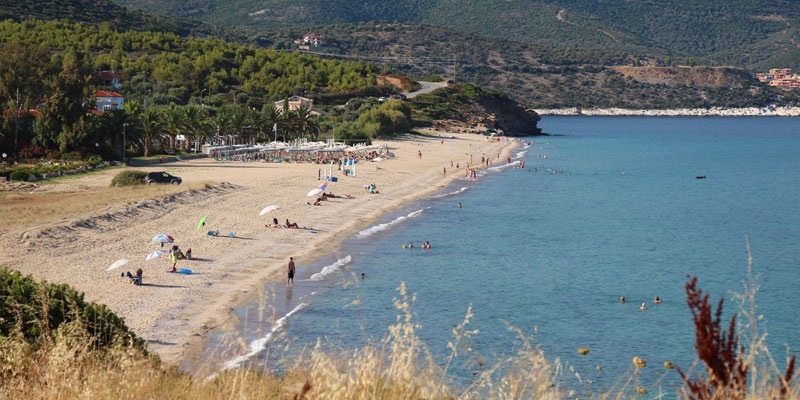 Assa Maris beach has some organization with sun-beds and umbrellas for the hotel guests. In the hotel is a beach bar and restaurant. Besides this minimal development the beach is vastly empty. 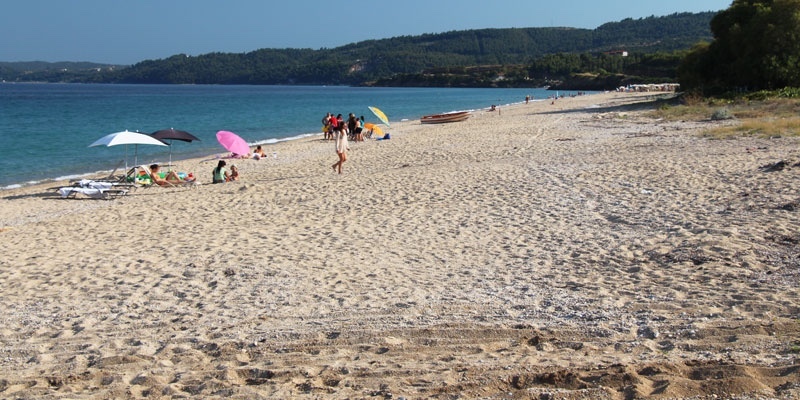 The beach consists of coarse sand and is perfectly soft to lay down your towel and sleep. The water is very clear and the sea-bottom has sand. The depth is good for swimming and snorkeling. 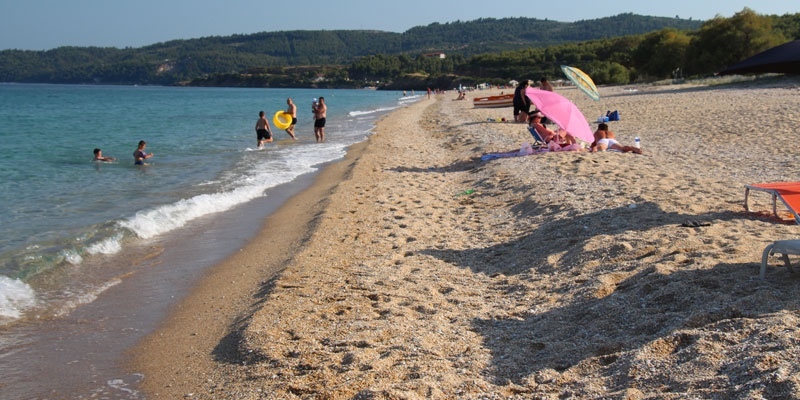 Because Assa Maris beach is quite open to the sea there may be waves. 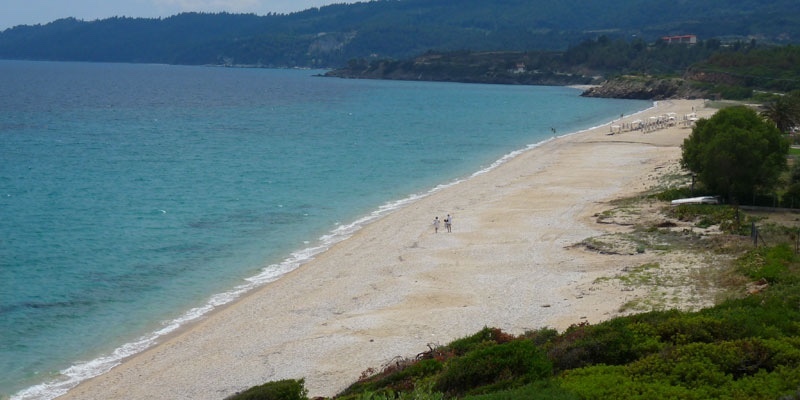 Very nice and large sandy beach. Few people, so there is plenty of room. No beach bar or restaurant outside the hotel. 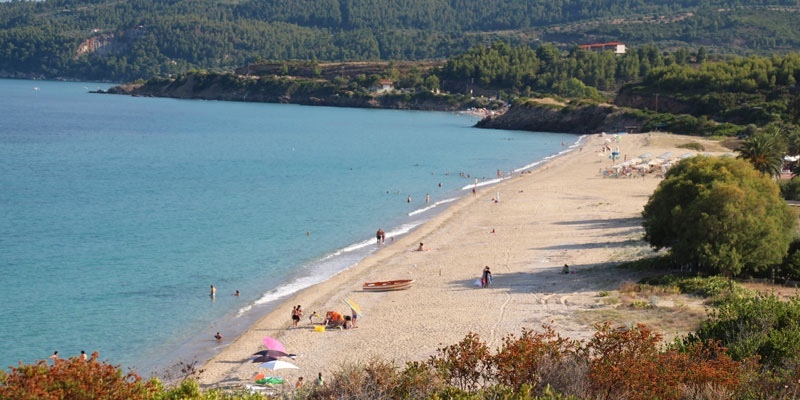 Driving north from Ormos Panagias, you reach Akti Salonikiou at the 10 kilometer mark. 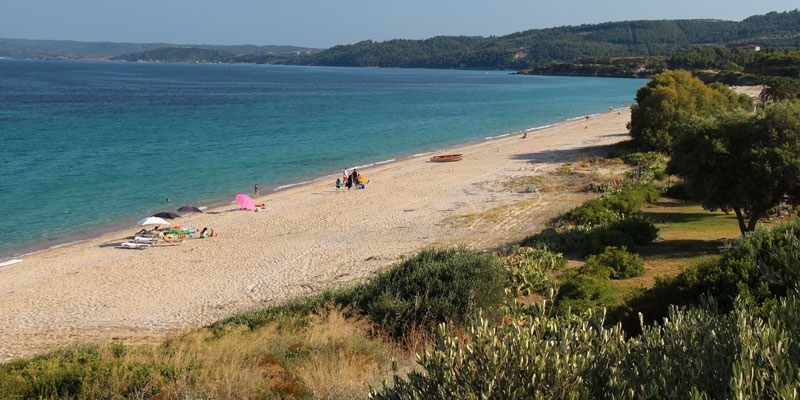 Here where the main road turns left inland, continue driving straight for about 500 meters and you arrive at Assa Maris beach on your right. The area’s best beach! Lack of development means bring your own beer.